Gambling in South Africa has been heavily restricted since the year of 1673, and the Gambling Act of 1965 effectively and officially banned all forms of gambling except that which related to horse racing, which has existed there as a sporting activity for many decades. It would be in the late 1970s that casinos would start operating in the nominally independent areas of Bophuthatswana, Ciskei, Trasnkei and Venda. These locations were only home to native South Africans, and most citizens were unable to access such gaming establishments. These casinos continued opening on a frequent enough basis that by the year of 1995, there were an estimated 2000 illegal casinos operating within the country. A democratic government was elected to power in the year of 1994, and alongside this, all forms of gambling were made legal. As 1996 came around, the National Gambling Act was instituted, which introduced a system of licensed casinos and a national lottery. The Act also gave definitions to different gambling ideas, described how the 40 different licences should be distributed among the provinces, and also provided comprehensive information on liability. The National Gambling Board was also established – an organisation responsible for the supervision and regulation of the industry. This legislation fully allowed the building of legal casinos, the aforementioned national lottery and various other forms of gaming. Further restructures of laws surrounding the gambling sector would be introduced in the years of 2004 and 2008. Today, the South African National Lottery is still ongoing, having been established in the year of 2000. Meanwhile, casinos now operate in all metropolitan areas of the country, with the largest of these being the ‘Tusk Rio Casino Resort’ based in Klerksdorp. In addition, horse racing is also still a very big attraction in the country, and is the longest legal form of betting still in existence today. Placing wagers on such games is controlled by Saftote and operated by Gold Circle in KwaZulu-Natal and the Western Cape, and by Phumelela in the rest of South Africa. 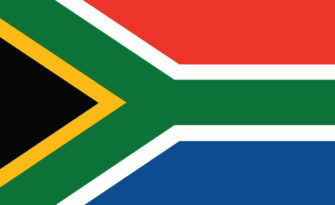 There are nine provinces within South Africa and each of these has a gambling and racing board. In order to offer online betting, bookmakers must be licensed by one of these boards. The largest is the Western Cape Gambling and Racing Board (WCGRB). As far as the laws go regarding online gambling, the National Gambling Act 2004 prohibited offering both interactive gambling services and engaging in interactive games via the internet. This related specifically to games such as casino, poker and bingo. Online sports betting and horse race betting, as well as the business of bookmaking was determined completely legal and lawful in the country, as long as the person conducting such holds the necessary licence(s). When the National Gambling Amendment Act 2008 was published in July of that year, it was meant to be an attempt to legalise such interactive gambling. This was confronted by the interested parties, those being land-based gambling houses and anti-money laundering authorities. For this reason, the Act still hasn’t come into power. When the year of 2010 rolled around, even online gambling offered through servers located outside of the country was banned. Consequently, both offering gambling services online and the act of gambling online became illegal, with the continued exception of horse racing and sports betting. Not only this, but the NGB must also assist PLAs to ensure that the unlicensed gambling activities are detected, establish and maintain a national registry of every gambling machine or device manufactured within or imported in to the country, assign a permanent and unique registration number for each machine or device, and investigate the circumstances of the gambling activity that relates to any unlawful winnings. While online gambling is considered illegal within the country, there are a certain few casinos which allow registration and the playability of many games to such citizens, including Netent products. Via these casinos, there is the possibility of playing games in South African Rands, making them great options for local players from within country.